On June 9, 2016, the End of Life Option Act became law. This is a new California law that will allow a terminally ill patient to request a drug from his or her physician that will end the patient’s life. The California End of Life Option Act allows a terminally ill patient who chooses to end his or her own life to obtain and self administer an aid-in-dying drug from a participating physician. This end of life option is voluntary for both patients and their physicians and the law does not require physicians, health providers or hospice programs to participate in the process. We recognize that there are a wide range of views and perspectives in our society about the ethical issue of deliberately ending life for a person living with a terminal condition. Hospice care focuses on the relief of pain and suffering and hospice philosophy affirms life and does not seek to hasten death or prolong life. While we recognize and respect the choices which patients make regarding their end of life care, Hospice of the Valleys will not participate in the End of Life Option Act. 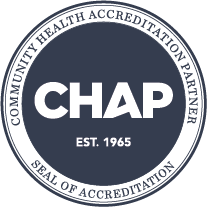 This means that Hospice of the Valleys physicians will not prescribe or provide any aid-in-dying drug, nor will our staff or volunteers be present at the time that a patient ingests an aid-in-dying drug. Although Hospice of the Valleys will not participate in the End of Life Option Act we will not abandon patients who may choose to pursue this option. 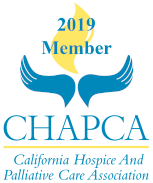 Hospice of the Valleys will continue to provide care for our patients and their families related to their hospice condition and will not discharge patients who pursue the End of Life Option Act. In the event that a Hospice patient decides to obtain and ingest an aid-in-dying drug through the provisions of the End of Life Option Act, Hospice of the Valleys physicians, staff or volunteers will not participate in the process or be present at the time of ingestion. However, we will continue to provide compassionate hospice care and support to the patient and their family both before and after the ingestion process. We foster reverence for life, relief of suffering, and compassion in loss for the terminally ill residents and their families in the communities we serve. If you have further questions or concerns about our policy regarding the End of Life Option Act, please feel free to contact our office to speak with one of our representatives.